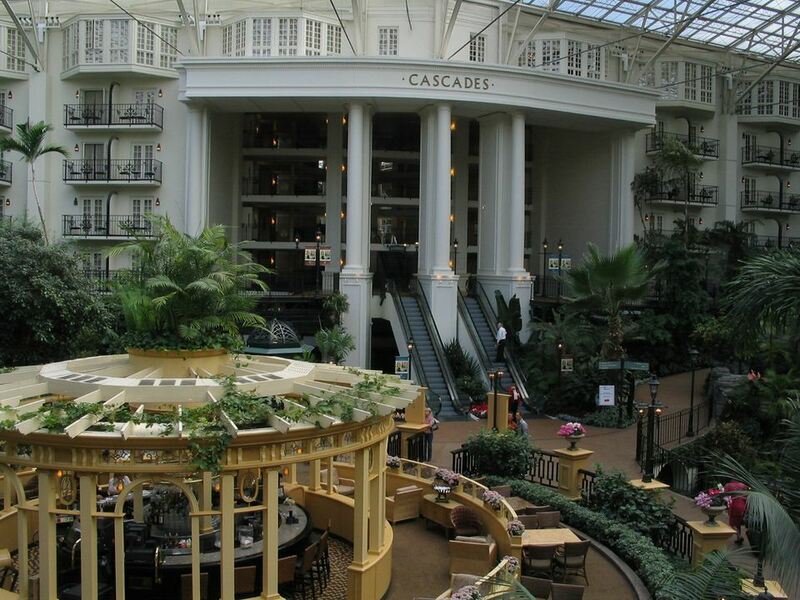 Each winter Nashville, Tennessee hosts a whimsical wonderland at the Gaylord Opryland Resort. ICE! features three-dimensional ice monuments and colorful ice sculptures, many of which are more than 25 feet in length. ICE! is held from mid-November through the first week of January, and the theme this year is "Dr. Seuss' How The Grinch Stole Christmas." The attraction has garnered national recognition from USA Today, The New York Times, Southern Living magazine and Travel + Leisure magazine, to name a few. ICE! provides an unusual and exciting addition to Gaylord Opryland's A Country Christmas. The Convention Center transforms into a self-contained, 40,000-square-foot refrigerated space filled with ice sculptures, displays, and even some live entertainment. This exhibit is created from 1.5 million pounds of ice and is kept at a chilly 9 degrees, blending amazing frozen creations with thrilling ice slides, all enhanced by dramatic lighting and special effects. The resulting handiwork includes beloved holiday figures such as Santa and Mrs. Claus, frolicking snowmen, and heavenly angels—many of which weigh more than two tons. To stay comfortable throughout this "frozen fountain of youth," guests are issued complimentary warm parkas with hoods. Guests can also exit the cold exhibition into the retail and refreshment area, where they can have a warm treat and shop for gifts and souvenirs. The exhibit is the creation of 35 dedicated artisans from Harbin, China who spend nearly an entire month in Nashville creating this one-of-a-kind attraction. In order to supply the raw materials to the craftsmen, a local factory churns out 36 truckloads of ice over a three-week span. To build the ICE! attraction requires three different types of ice. Clear "Crystal" Ice is the most complex, requiring 45 gallons of water to be frozen over a period of three days for a single 400-pound ice block. White ice has a cloudy, flaky appearance, much like snow, and is created by quickly freezing the water to prevent the molecules from aligning. Lastly, colored ice is used to provide artistic highlights to the ice sculptures and comes in nine different colors via the addition of food coloring. Upon entering, guests meet the welcome wagon ICE! style, with a snowman country band, complete with a Grand Ole Opry barn façade in vibrant color. Past the barn, a giant, full-color wreath portal transports guests back in time to an old-fashioned country home carved out of ice. The scene captures Christmas Eve, complete with a gingerbread ice porch and a Victorian ice family giddy with Christmas spirit. Mom and Dad steal a kiss under the mistletoe, the family dog sleeps by the fireplace where stockings hang, and a child looks upon the scene in amazement. In the center of it all is the family tree, built from green ice with glowing electric candles. Beyond the house, guests come upon a horse-drawn carriage and frozen driver, where they can climb aboard, and have their photo taken on a frozen sleigh ride. Next is the fantasy world of the Christmas Castle, with toy soldiers standing guard and candy cane turrets. Guests can partake of the three different paths at the popular two-story ice slides. Leaving the castle courtyard through a long, illuminated tunnel, visitors will find Santa's Toyland. Elves are hard at work carving toys and placing them on enchanted conveyor belts to load up Santa's sleigh. Bright flashing lights and colorful candy decorations adorn the whimsical contraptions, all under Santa's watchful eye. Guests can pose for photos on a special stage beside the ice Santa himself. Following Santa's Toyland is The Winter Forest, featuring a running waterfall, twinkling stars behind a painted dusk sky, and a winding footpath. To be discovered among the trees are realistic woodland creatures populating the ice forest. A bench is provided for guests to sit and capture a snapshot in front of the waterfall and pond. Guests exit the forest through a frozen tree canopy to a Country Church environment. Here, a monumental sculpture of the Herald Angel is set against a rustic church. Light streams through ice, stained-glass windows surrounding the angel with a miraculous aura. Upon leaving the church, guests round the corner to discover the signature scene of ICE! : The Nativity. Guests marvel year after year as the crystal manger completes the experience with one of the world's most beautiful and inspirational renditions of the Nativity.